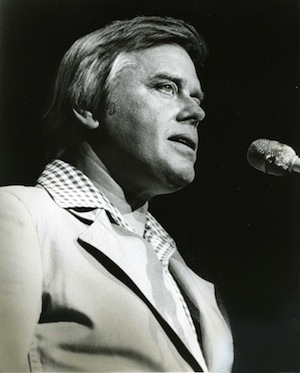 BMI will celebrate the incredible songwriting career of Tom T. Hall by naming him a BMI Icon at the company’s 60th annual Country Awards. The private ceremony will be held on Tues., Oct. 30 at BMI’s Music Row offices in Nashville. The BMI Icon award is given to songwriters who have had a “unique and indelible influence on generations of music makers.” At the ceremony an all-star musical tribute will pay homage to Hall, and BMI will crown the Country Songwriter, Song and Publisher of the Year. The writers and publishers of the past year’s 50 most-performed songs from BMI’s country catalog will also be honored. BMI President & CEO Del Bryant will host the ceremony with Jody Williams, BMI Vice President, Writer/Publisher Relations, Nashville; and Clay Bradley, BMI Assistant Vice President, Writer/Publisher Relations, Nashville. 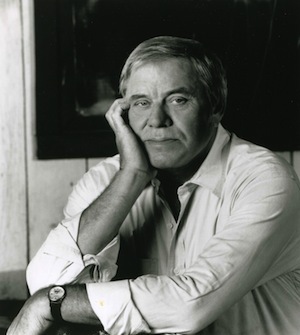 Hall, a member of the Country Music Hall of Fame, is one of the original master craftsmen of country music, a distinct voice who elevated the art form. Nicknamed “The Storyteller,” his songs are vivid vignettes, with sharply drawn characters. As a recording artist, Hall had seven No. 1 singles, all self-penned: “A Week in a Country Jail” (1969–70), “The Year That Clayton Delaney Died” (1971),“(Old Dogs, Children and) Watermelon Wine” (1972–73),” “I Love” (1973–74), “Country Is” (1974), “I Care” (1974–75), and “Faster Horses (the Cowboy and the Poet)” (1976). The Grammy winner also famously wrote smashes for others, including “Harper Valley P.T.A.,” which Jeannie C. Riley took to No. 1 on country and pop charts in 1968, as well as “The Pool Shark,” a chart-topper for Dave Dudley; “(Margie’s at) the Lincoln Park Inn” and “That’s How I Got to Memphis,” recorded by Bobby Bare; and “Little Bitty,” a mega-hit for Alan Jackson in the late 90s. Hall has earned a total of 31 BMI Awards for songwriting spanning country and pop genres, and six of his songs have accumulated more than one million performances each. The Kentucky native’s success also spread to Americana and bluegrass. He has collaborated extensively with his wife Miss Dixie, and the Halls were named SPBGMA Songwriter of the Year for 10 consecutive years. It is never surprising to see as many as five or six Hall compositions at a time on the bluegrass charts, several of them reaching No. 1, such as “Bill Monroe For Breakfast,” which Hall recorded himself; a new version of “That’s How I Got To Memphis” by Charlie Sizemore; “Clinch Mountain Mystery” by The Larry Stephenson Band; “Train Songs” by Ralph Stanley II; “Train Without a Track” by Junior Sisk and Rambler’s Choice; and “The Boys In Hats and Ties” by Big Country Bluegrass, just to name a few. Past BMI Icons include Bill Anderson, Billy Sherrill, John Fogerty, Kris Kristofferson, Willie Nelson, Isaac Hayes, Merle Haggard, Brian Wilson, Dolly Parton, Loretta Lynn, the Bee Gees, Bobby Braddock, Ray Davies, James Brown and more.